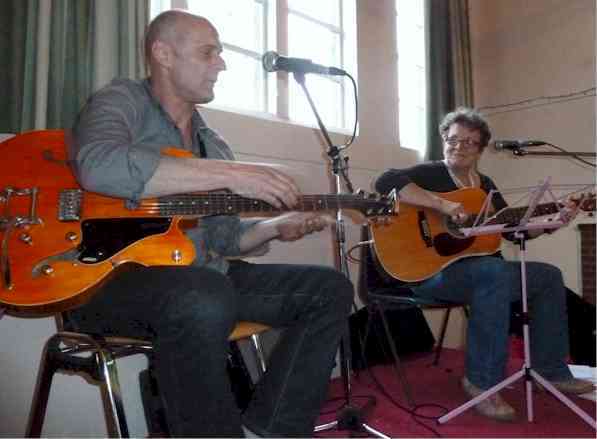 Helen Watson & Mark Creswell gig at the Village Hall. 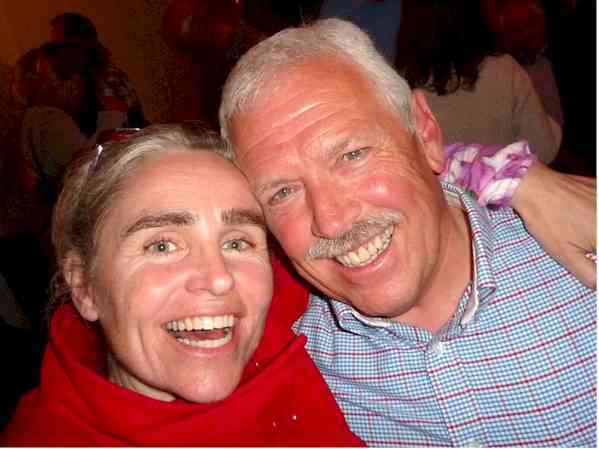 Helen & Mark put on an excellent show on Friday 10 May to the delight of the large crowd, c60 people, who attended the event. Helen has a marvelous voice with a terrific range which she demonstrated as she cantered through hits by Bruce Springsteen to songs from Peggy Lee. Mark matched Helen for versatility and had guitar enthusiasts in the audience in raptures as he demonstrated his range and ability. It was a great evening and enjoyed by all who were present. Derek Harbour - Bon vivant and Village Hall committee centre forward celebrates his birthday at the concert. He is joined by - moi! (Vanessa) - Oxhill ed. at large.